Performing athletes, artists, or entertainers from another country that wish to travel to the United States for reasons related to their work should obtain a P visa. P visas are a part of the nonimmigrant Temporary Worker Visa category and are meant for foreigners coming to the United States for temporary work purposes, with the intention of returning to their home country after a fixed period time. P-1: For an individual or team athlete, or member of an entertainment group that is coming to the U.S. to perform at an athletic competition, either as an athlete or member of entertainment group. The individual must be internationally recognized for her or her work in order to qualify for this visa. P-2: For an artist or entertainer that comes to the United States for a performance under an exchange program between an international organization and an organization within the U.S.
P-3: For an artist or entertainer that intends to come to the U.S. to perform, teach or coach under a culturally unique program or a traditional ethnic, folk, cultural, artistic, musical or theatrical performance/presentation that will enhance the development or understanding of his or her art form. Support personnel of the performing athlete, artist or entertainer may also apply for a P visa. Applying for a P visa requires a great deal of evidence and documentation to be accurately submitted. Performing athletes, artists and entertainers must submit proof of their career as an athlete, artist or entertainer and evidence of their performance in the United States. A petition will need to be filed on his or her behalf from the supporting U.S. organization before he or she can apply for the P visa. Depending upon the category of P visa and the travel purposes of the individual, the time in which the individual can stay in the U.S. typically varies between one year and five years, with distinct variations on the allowable increments of extending their stays. There are also travel restrictions associated with each P visa. Family members that wish to travel with the performing athlete, artist or entertainer may apply for a P-4 visa. An immigration attorney can help you to apply for and obtain a P visa if you are a performing athlete, artist or entertainer. Similarly, if you are an essential support employee of a performing athlete, artist or entertainer, or a member of his or her family that needs to also travel to the U.S., an immigration attorney can help you apply for the correct type of P visa. It is important to apply for the correct P visa, whether it is the P-1, P-2, P-3, or P-4 category. Each has different requirements and restrictions, and an immigration attorney can best help you to understand these thoroughly and obtain the right one so that you can be on your way to the U.S. for your athletic or entertainment performance. If you are performing athlete, artist or entertainer that needs to come to the U.S. for a performance or presentation, consult with an immigration lawyer today about getting a P visa. Attorney Search Network can help you find an immigration lawyer who is experienced in handling P visa cases. 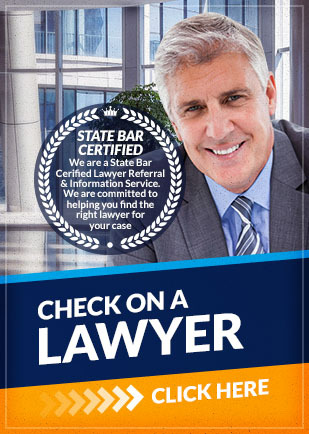 If you need a Lawyer Referral call (800) 215-1190 or fill out the form above for a referral to an Attorney Search Network panel lawyer with P Visa experience.